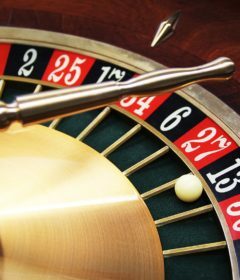 Before you play roulette, or any other casino table game, you must first make a buy-in, which is the conversion of cash into gaming chips. Your first consideration is to find a table with space to play, and having a desirable table minimum. 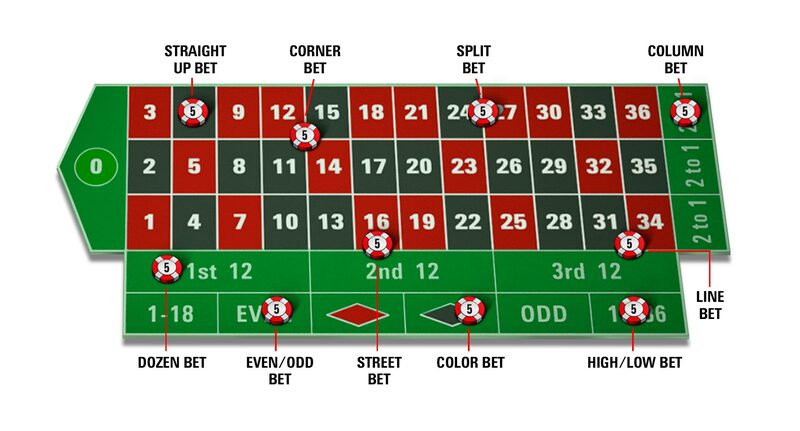 At a roulette table there is a small placard next to the wheel that states the maximum and minimum bets at that particular table. The minimum is usually on the top line, with oversized lettering for clarification. On that same sign, the chip minimum is often noted. This is the minimum valuation that can be ascribed to each of your chips. 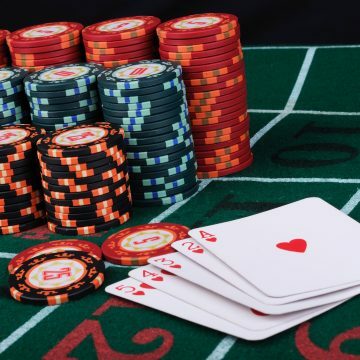 At a $5 minimum table, the chip minimum might be 50c, which means you would have to put down at least ten of your chips, each spin, to meet the bet minimum. Most casinos I’ve been to recently have a $1 minimum at their $5 and $10 tables, although you can find casinos in Nevada with much lower minimums. Each table also has a bet maximum, which is meant to keep players from beating the house with extended betting progressions. In major casinos, the maximum is usually two to five thousand for outside bets, and something like $100 for inside bets. Why the disparity between the two figures? Well certain inside bets pay nearly twenty times as much as any outside bets. So the casinos do that to avoid the really big surprises, like someone winning a $3000 bet on a straight up number, for which the house would have to cough up $105,000, and that’s way out of line with the $6000 they’d have to pay to the lucky winner of the highest-paying outside bet of the same size. When you have found a suitable table and have decided upon the dollar amount you wish to exchange for chips, lay the money on the felt, outside of the playing area, and wait for the dealer to notice. Don’t worry, he’ll notice. But to be on the safe side, watch your money carefully until he does. When he picks it up, or looks around to find out who put it there, give him your instructions, such as “Five stacks of chips, please”. A stack is twenty chips, so if you lay down $100-with that request, he should know that you are seeking a total of one hundred $1 chips, which conveniently works our to five stacks. Now these are table chips we’re talking about, not value chips. The latter is the type the dealer would give you for any other table game such as blackjack or craps. Each player is assigned a different colour of chips. Your chips might be blue: the next player’s might have orange chips; the next one might have brown chips, and all of them might have a different chip valuation. 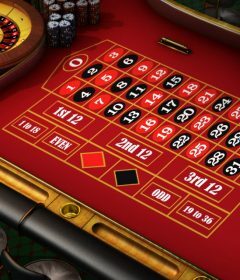 The dealer will place a sample chip (of each active colour) in separate slots, then place a numbered disc on top of each. The numbers printed on the face of the discs represent the value of one stack, so the dealer will know how much to give each player on cashout. It would be a good idea to check what disc the dealer has put on top of your sample chip, because mistakes can be made. There is no minimum amount of play required. At times, I’ve bought in, then cashed out without playing a single spin because of something I’ve noticed at the next table. But the best time to cash out is after the dealer has lifted the dolly from the winning number, for he then has time to address the matter. To do so, push your pile of chips towards the dealer and say “Colour”.